Travel in Time On Eagle’s Wings! For every major bible story we teach, there is a hymn that reaches across the centuries and connects our hearts to the hearts of our spiritual ancestors. As we sing On Eagle’s Wings, the feelings of the Israelites soon become our feelings. And, in our imaginations, we melt into the events of the story. Hymns take us to another time and place where we can have a you-are-there experience. A further bonus for using hymn study as a teaching method, is that it enhances the worship experience of your students. After engaging in today’s hymn study, whenever you and your students sing On Eagle’s Wings in church, you will once again connect with the biblical people you met in your classroom. 1 Become a storyteller. Ask your students to enter the scene. Let us imagine that we have traveled back in time. It is about 1250 B.C. We can see Moses atop Mt. Sinai talking to his God, Yahweh. Moses informs Yahweh that he has accomplished his mission. He has led the Israelites out of Egypt, across the desert, to this mountain. They are now camping at the base of the mountain, waiting for their next instructions. Yahweh greets Moses with great joy because He has a dream. He wants to form a covenant relationship with Israel. A covenant is like a marriage. Yahweh wants to “wed” Israel. He will be the Lover, she will be the Beloved, and they will be faithful to each other. This pledge of fidelity sounds strange to us, but it is important because back then God had not yet given Israel the Revelation that He is the only God. This means that Israel will be tempted to worship other gods in addition to worshipping Yahweh. 2 Capture attention with a good introduction. On Eagle’s Wings sets Yahweh’s proposal to music. 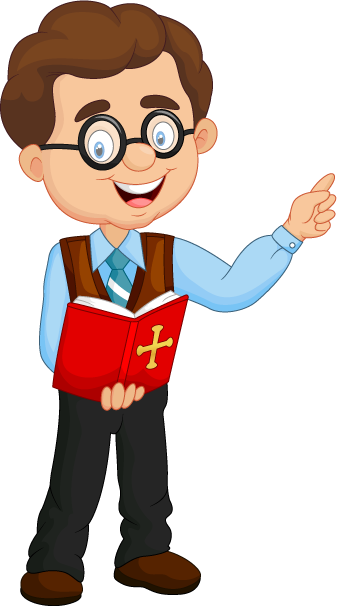 You are about to play the hymn so that your students will become more familiar with what they are studying. What form of music did the composer use? Was it a march, a dance, a lullaby? Other? Why did the composer choose that form? Give your students copies of the lyrics and invite them to read or hum along as you play the hymn. 3 Play the hymn for your students. I like to use the CD titled, On Eagle’s Wings by Michael Joncas. For your class, you may play this audio track located at the top of this page. Why were the people so anxious? We will learn more about their extreme anxiety as we go along. 4 What do the lyrics tell us? Hymn study asks us to closely examine the lyrics. First, ask your students to establish the identity of the speaker. Who is singing to whom? In some hymns, we are the speakers. We sing to God, either praising Him (How Great Thou Art!) or requesting solace (‘Til We Meet Again), or describing a scene (Silent Night). Sometimes a hymn is a dialog with God, in which we speak through the chorus and God speaks through the verses (Here I Am Lord). 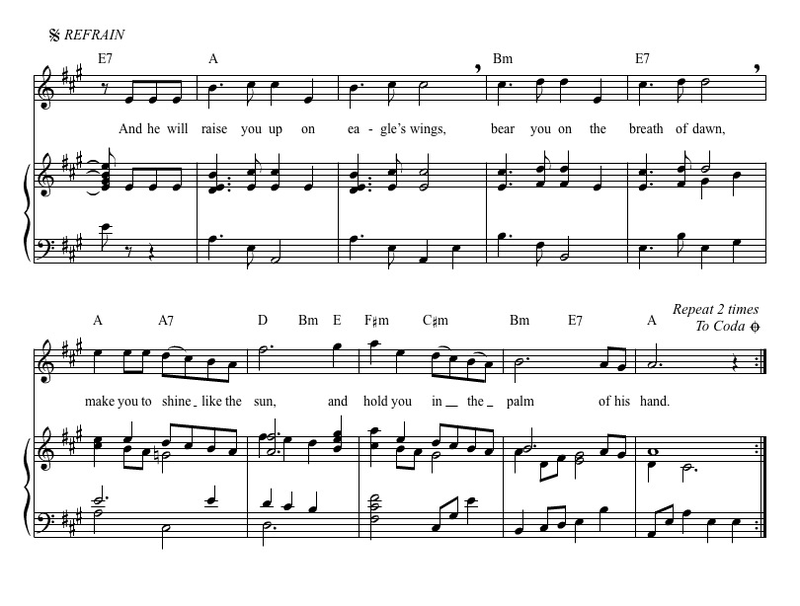 Identifying the speaker in the hymn On Eagle’s Wings is tricky because in the bible (Exodus 19:4), God is the speaker. He says, “…how I lifted you on eagle’s wings.” The composer of Psalm 91 changed the speaker to an observer and wrote, “…and He will raise you up…” Centuries later, in 1979, Fr. Michael Joncas set psalm 91 to music and retained the third person grammar. In either case, God identifies Himself as the One who raises us up. When I hear this hymn, I hear God singing to me. Arrow that flies by day – danger in battle. Dash your foot against a stone – stumble in some way. 5 How does the music support the lyrics? Using music is a wonderful teaching method. A song affects our emotions because its vibrations influence the vibrations of our heart. Show your students how the musical notes for the chorus (And he will raise you up…) rise upwards and then level off before settling to rest, just like the graceful flight of the eagle. The melody fills the heart and lifts the spirit of the person listening or singing. Teachers with more musical knowledge than I have can do a lot more with hymn appreciation techniques. I invite readers with this skill to share your ideas in the Comments box at the bottom of this page. 6 Become a history detective. We have examined the hymn. Now, let’s examine its history–the story behind the story. Researching the history is an exciting teaching method for a religion teacher because it helps him or her flesh out the story so well. Invite your students to join you in an imaginary journey back in time, to the day and place where Moses was speaking with Yahweh. Our first task is to discover why God compared Himself to an eagle. Let’s go to the moment God said, “I will raise you up on eagle’s wings.” As detectives we need to ask, what was happening in the Israelite community that prompted God to compare Himself to an eagle? Prepare to tell another story. Since the account given in scripture is sparse, we are free to embellish it. But there is a discipline to this effort. The added details must be true to the original intent of the author. You may wish to consult a bible commentary or Old Testament history book for information on the historical context of this passage. The story which follows, Joseph And The Eagles, is an example that uses The Eight Elements of a Scene as described in Classroom Teaching Methods. Tell or read the following story yourself, or make copies and ask your students to take turns reading it aloud. 7 Become a storyteller. Ask your students to enter the scene. Let’s go back in our imaginations to the eastern side of the Sinai desert about 1350 B.C. and observe a teenage Israelite named Joseph. He is sitting quietly in the shade of an overhanging rock. It is just after sunrise, and he is intently watching an eagle teaching his three eaglets to fly. This is not unusual because many of the Israelites enjoyed bird watching. The lad is thoughtful. His ambition is to be a great storyteller like his father, and he is thinking about the tale he will weave for the tribe that night when the people are gathered around the campfire. He is struggling to find a good idea and he is running out of time. Everyone in the tribe is anxious because survival in the desert is so difficult. They live with constant hunger pains and they are always thirsty. And, just yesterday their fears escalated when they stumbled into an area full of poisonous snakes. Last night, when Moses reported his conversation with Yahweh, the people responded with complaints about their hardships. Moses had said Yahweh would protect them. He had said He would raise them up, as if they were floating on eagle’s wings. This was good news because every day was a frantic struggle for survival. Joseph had lain awake most of the night, wondering what floating on eagle’s wings meant. Now, he was watching the eagles, hoping to understand why Yahweh thought the flight of an eagle could comfort the Israelites. The nest he watched was built high up on the shear side of a cliff, about 200 feet above the floor of the valley. One at a time the father bird nudged a baby over the side of the nest and flew alongside the young bird as it plummeted straight down, tumbling beak over tail, shrieking in terror. Even though the parent eagle was aware of his youngster’s fright, he knew that plunging down the cliff would help it learn to fly. At the last moment the father swooped under the hysterical eaglet, who frantically sank his claws into his father’s back. The adult eagle then gently soared up and returned his youngster to the nest for a brief rest before, once again, pushing him over the edge. When mom returned to the nest with food, the lesson ended. After their meal, the family settled down for an afternoon a nap. 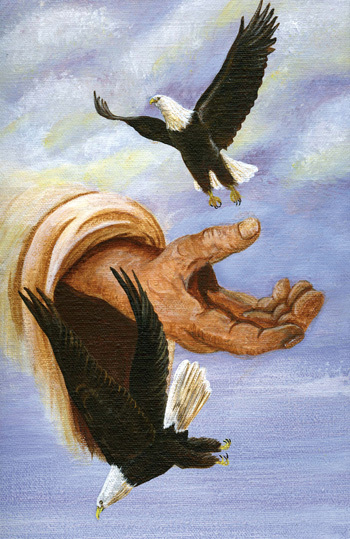 As he watched the eagle family, Joseph realized that Yahweh was speaking to him through their activity. He was showing him that He, Yahweh, was like the father eagle. He had urged His People to escape Egypt just as the father eagle had urged his eaglets to escape the nest. And He had protected His People during the perilous journey across the desert, just as the father bird had protected his young as they tumbled down the face of the cliff. In the end, they could fly by themselves on a wind provided by Yahweh. He had his story. He would describe the eaglets’ experience and liken it to the way Yahweh was teaching the Israelites a new way of living. As they learned, He would be like the father eagle who pushed his young to take the risks that led them to fly free, all the while protecting them. His story would encourage trust in Yahweh’s protection and feelings of gratitude for their freedom. It would be an enduring story because every time they saw an eagle, they would be reminded of Yahweh’s great love for them. Joseph stood, stretched, and strolled back to camp whistling a happy tune. The imagery of God as an eagle is often cited in our tradition. Psalm 91 is an example. About 1975, a young priest named Michael Joncas put the words of this psalm to music. And now, centuries later, God sings On Eagle’s Wings to us, and we actually feel the peace given by His promise of protection. Mostly, people turn to this song when they are anxious or sad and feel the need for comfort. But, there are times when God has done something wonderful for us, when He has raised us to a new level of life and we wish to praise Him in song. On these occasions On Eagle’s Wings is the song of choice. We sing it a little faster and a little louder and it becomes a song of celebration. In short, On Eagle’s Wings is God’s invitation to travel through life with Him at our side. Not a bad idea to hum it every so often as we go about our daily activities, just to remind ourselves of His Presence. Have you ever seen an eagle? Describe. Who is the speaker in this hymn? Who is the one spoken to? What is the speaker’s message? Were you surprised that Yahweh compared Himself to an eagle? Do you think God is like any other animal? Why? Can you imagine this song as a wedding song? Can you imagine it as a funeral song? Do you believe that singing hymns puts us in touch with our spiritual ancestors? Do you agree that God speaks to us through music? Only through hymns? What about Happy Birthday? Others? Do you agree/disagree that God’s love touches us through our pets? Some point out that the word, dog, spelled backward says God. And, this is no accident, they claim. Dogs share our joys and offer comfort when needed. Describe a time when you have felt “lifted up” by God, as if you were being carried on eagle’s wings. What is your favorite hymn? How does the music affect your feelings? You may want to end the session with a sing-a-long as you play On Eagle’s Wings a second time. 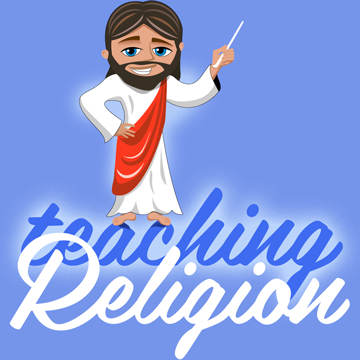 Hymn study is a teaching method for religion teachers that leaves a class feeling more deeply connected to God. This is why hymn study is such an excellent teaching method for religion teachers. “On Eagle’s Wings” Audio copyright © 2015 GIA Publications, Inc. Download this song and others by Michael Joncas here. Sheet music provided by Musicnotes.com. Eagle Painting ©2002 by Randy McIntyre.